The purpose of this study is to compare freshmen engineering students’ exam achievement in general chemistry course using peer-led team learning model and traditional instruction and to investigate the effect of the methods on different achieving level students. A total of 128 students who were instructed by the same professor participated in the study. Both in PLTL and traditional class consisted of different engineering disciplines. Throughout the semester, PLTL model was implemented in the experimental group while traditional instruction was used in the control group. 14 peer leaders who have successfully completed general chemistry course in previous semester have been trained on basic communication and pedagogy issues and they have supported their teams in problem-solving throughout the semester. Both experimental and control group students took the same mid-terms and final exam which are constructed by the related department. The data were analyzed by two-way analysis of variance (ANOVA). Results indicated that low and medium achieving students’ general chemistry exam grades are statistically higher in PLTL group than those of traditional group students; however, there is no statistically significant mean difference in high achieving students’ grades across the groups. Bu çalışmanın amacı, mühendislik fakültesi birinci sınıf öğrencilerinin genel kimya ders başarısını akran liderliğinde takım öğrenmesi modeli ve geleneksel öğretim modeli kullanılan durumlarda karşılaştırmak ve yöntemin farklı başarı seviyelerindeki öğrenciler üzerinde etkisini incelemektir. Çalışmaya aynı öğretim üyesinin okuttuğu toplam 128 öğrenci katılmıştır. Her iki grupta da farklı mühendislik dallarından öğrenciler vardır. Deney grubu bir dönem boyunca akran liderliğinde takım öğrenmesi (ALTÖ) modeli ile ders yaparken kontrol grubunda geleneksel öğretim uygulanmıştır. Daha önceden bu dersi başarı ile tamamlamış 14 takım lideri dönem boyunca temel iletişim ve pedagoji konularında eğitilmiş, takımlarına dönem boyunca problem çözme konusunda destek olmuştur. Deney ve kontrol grubu ilgili bölümce hazırlanmış aynı ara sınavlara ve final sınavına sınava girmiştir. Veriler iki yönlü varyans analizi (two-way ANOVA) ile incelenmiştir. Sonuçlar, düşük ve orta düzey başarılı öğrencilerin ALTÖ modeliyle öğretim aldıklarında geleneksel öğretim alan gruba göre genel kimya sınav başarı notlarının istatistiksel olarak daha iyi olduğu, ancak yüksek başarılı öğrencilerin uygulanılan öğretim yöntemlerine göre istatistiksel olarak anlamlı bir farklılığının olmadığını ortaya koymuştur. Peer-led team learning, General chemistry, Engineering students. Akran-Liderliğinde Takım Öğrenmesi, Genel kimya, Mühendislik öğrencileri. Alger, T. D., & Bahi, S. (2004). An experiment in improving scores on ACS course-specific examinations at Southern Utah University. Progressions: the PLTL Project Newsletter, 5(2), 7-10. Amaral, K. E., & Vala, M. (2009). What teaching teaches: Mentoring and the achievement gains of mentors. Journal of Chemical Education, 86, 630–633. Báez-Galib, R., Colón-Cruz, H., Resto, W., & Rubin, M. (2005). Chem-2-chem: A one-to-one supportive learning environment for chemistry. Journal of Chemical Education, 82, 1859-1863. Barefoot, B. O. (2004). Higher education's revolving door: Confronting the problem of student drop out in US colleges and universities. Open Learning: The Journal of Open, Distance and e-Learning, 19(1), 9-18. Brown, A.L., & Campione, J.C. (1994). Guided discovery in a community of learners” In McGilly K. (Ed. ), Classroom lessons: Integrating cognitive theory and classroom practice (pp. 229–270). Cambridge, MA: MIT Press. Brown, J.S., Collins, A., & Duguid, P. (1991). Situated cognition and the culture of learning. In Yazdani M. & Lawler R.W. (Eds. ), Artificial intelligence and education (Vol. 2). Norwood, NJ: Ablex. Brown, T.L., LeMay, H.E. Jr., Bursten, B.E., Murphy, C.J., Woodard, P.M., & Stoltzfus, M.W. (2015). Chemistry: The central science (13th ed.). Upper Saddle River, NJ: Pearson Education. Chan, J.Y.K., & Bauer, C.F. (2015). Effect of peer-led team learning (PLTL) on student achievement, attitude, and self-concept in college general chemistry in randomized and quasi-experimental designs. Journal of Research in Science Teaching, 52(3), 319-346. Drane, D., Micari, M., & Light, G. (2014). Students as teachers: effectiveness of a peer-led STEM learning programme over 10 years. Educational Research and Evaluation, 20(3), 210–230. Driver, R., Newton, P., & Osborne, J. (2000). Establishing the norms of scientific argumentation in classrooms. Science Education, 84(3), 287–312. Fraenkel, J. R., & Wallen, N. E. (2006). How to design and evaluate research in education (6th ed). Boston: McGraw-Hill. Gafney, L., & Varma-Nelson, P. (2007). Evaluating peer-led team learning: A study of long-term effects on former workshop peer leaders. Journal of Chemical Education, 84(3), 535–539. Gafney, L., & Varma-Nelson, P. (2008). Innovations in science education and technology: Vol. 16. Peer-led team learning: Evaluation, dissemination, and institutionalization of a college level initiative. Weston, MA: Springer. Gosser Jr, D. K., (2011). The PLTL boost: A critical review of research. Progressions: The PLTL Project Newsletter, 14(1). Retrieved from, https://docs.google.com/document/d/1ePcy-1C8Rh1hizySbWG3xxeetuC4U-6lmyZyPikDZxo/edit?authkey=CM2GuN4L&hl=en_US&pli=1. Gosser, D. K., Cracolice, M. S., Kampmeier, J. A., Roth, V. Strozak, V.S., & Varma-Nelson, P. (2001). Peer-led team learning: A guidebook. Upper Saddle River, NJ: Prentice Hall. Hockings, S.C., DeAngelis, K.A., & Frey, R.F. (2008). Peer-led team learning in general chemistry: Implementation and evaluation. Journal of Chemical Education, 85(7), 990-996. Irvine, V., Code, J., & Richards, L. (2013). Realigning higher education for the 21st-century learner through multi-access learning. 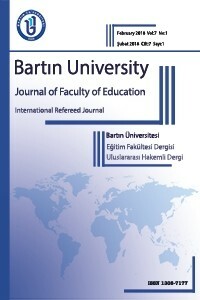 Journal of Online Learning and Teaching, 9(2), 172–186. Johnson, D. W., & Johnson, R. T. (1999). Making cooperative learning work. Theory into practice, 38(2), 67-73. Johnson, D. W., & Johnson, R. T. (2009). An educational psychology success story: Social interdependence theory and cooperative learning. Educational Researcher, 38(5), 365–379. Johnson, D.W., Johnson, R. T., & Smith, K. A. (1991). Active learning: Cooperation in the college classroom. Edina, MN: Interaction Book Company. Kuh, G. D., Cruce, T. M., Shoup, R., Kinzie, J., & Gonyea, R. M. (2008). Unmasking the effects of student engagement on first-year college grades and persistence. Journal of Higher Education, 79, 540–563. Lewis, S. E. (2011). Retention and reform: An evaluation of peer-led team learning. Journal of Chemical Education, 88, 703–707. Liou-Mark, J., Dreyfuss, A. E., & Young, L. (2010). Peer assisted learning workshops in pre-calculus: An approach to increasing student success. Mathematics and Computer Education, 44(3), 249-259. Loui-Mark, J., & Robbins, B., (2008). Work-in-progress assessment of peer-led team learning in an engineering course for freshmen. Presented at the 38th ASEE/IEEE Frontiers in Education Conference, Saratoga Springs, NY, 22-25 October 2008. Lyle, K.S., & Robinson, W.R. (2003). A statistical evaluation: peer-led team learning in an organic chemistry course. Journal of Chemical Education, 80(2), 132-134. Lyon, D. C., & Lagowski, J. J. (2008). Effectiveness of facilitating small-group learning in large lecture classes: A general chemistry case study. Journal of Chemical Education, 85(11), 1571–1576. McCeary, C.L., Golde, M.F., & Koeske, R. (2006). Peer instruction in general chemistry laboratory: Assessment of student learning. Journal of Chemical Education 83(5), 804-810. Mitchell, Y. D., Ippolito, J., & Lewis, S. E. (2012). Evaluating peer-led team learning across the two semester general chemistry sequence. Chemistry Education Research and Practice, 13, 378–383. Pallant, J. (2011). SPSS survival manual: A step by step guide to data analysis using SPSS (4th ed.). Crows Nest, NSW: Allen & Unwin. Pascarella, E. T., & Terenzini, P. T. (2005). How college affects students: A third decade of research (Vol. 2). San Francisco: Jossey-Bass. Peters, O. (1992). Some observations on dropping out in distance education. Distance Education, 13(2), 234-269. Preszler, R.W. (2009). Replacing lecture with peer-led workshops improves student learning. Life Sciences Education, 8, 182–192. Rivard, L.P., & Straw, S.B. (2000). The effect of talk and writing on learning science: An exploratory study. Science Education, 84, 566–593. Roschelle, J. (1992). Learning by collaborating: Convergent conceptual change. Journal of Learning Sciences, 2, 235–276. Roth, V., Goldstein, E., & Marcus, G. (Eds.). (2001). Peer-led team learning: A handbook for team leaders. Upper Saddle River, NJ: Prentice Hall. Şimşek, H. (2013). Üniversite öğrencilerinin okulu bırakma eğilimleri ve nedenleri. Kuramsal Eğitimbilim Dergisi, 6(2), 242-271. Retrieved from http://dergipark.gov.tr/akukeg/issue/29349/314064. Tien, L. T., Roth, V., & Kampmeier, J. A. (2002). Implementation of a peer-led team learning instructional approach in an undergraduate organic chemistry course. Journal of Research in Science Teaching, 37, 606–632. Tobias, S. (1992). Revitalizing college education. Tucson: Research Corporation. Tutty, J., & Klein, J. (2008). Computer-mediated instruction: A comparison of online and face-to-face collaboration. Educational Technology Research and Development, 56(2), 101–124. Ulukan, H. (2012). Iletişim becerilerinin takım ve bireysel sporculara olan etkisi [The effect of communication skills on individual and team sport athletes]. Unpublished Master Thesis, Karamanoğlu Mehmetbey University, Karaman, Turkey. Varma-Nelson, P., & Coppola, B. P. (2005). Team learning. In: N. J. Pienta M. M. Cooper & T. J. Greenbowe, (Eds.) Chemists’ guide to effective teaching: Volume I. Upper Saddle River. NJ: Pearson. Varma-Nelson, P. (2006). Peer-Led Team Learning. Metropolitan Universities, 17(4), 19-29. Vygotsky, L.S. (1987). Mind in society: The development of higher psychological processes. Harvard University Press. Wamser, C. C. (2006). Peer-led team learning in organic chemistry: Effects of student performance, success, and persistence in the course. Journal of Chemical Education, 83(10), 1562–1566.